It’s official: Evan and I are currently 9 days into a 2 week cleanse! It’s been much easier this time around. Last February when we tackled the Conscious Cleanse for the first time, we had no idea how much time we would spend shopping for and prepping our food. Every night we spent at least a couple of hours in the kitchen washing veggies, measuring ingredients, and preparing breakfast smoothies, lunch salads, and dinner. This time, we knew what we were getting into! It also helps that many of the oddball ingredients we had to buy the first time around are now pantry staples in our house. Ground flax and chia seeds? Got ’em! Spirulina (powdered blue-green algea)? Got it! Hemp oil? Yum! Another reason this time has been easier is that we continued having green smoothies for breakfast and big salads for lunch after our first cleanse ended. That doesn’t mean we never go out or treat ourselves to something more sinful on the weekends (for example, my Savory French Toast!). We do, but all in moderation. After we finished the cleanse last February, I found this delicious salad recipe on their website (consciouscleanse.com). It quickly became one of our favorites. It’s crisp and hearty — perfect for winter’s cold temperatures! This recipe makes two LARGE lunch or dinner salads, or one large side salad for 6-8. 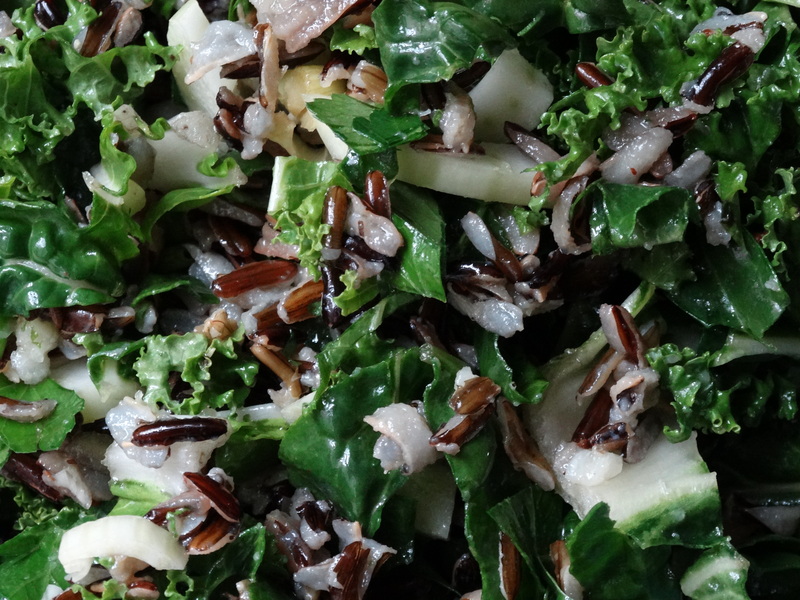 You will need the following ingredients: uncooked wild rice, kale, chard, scallions (green onions), parsley, fennel, lemons, olive oil, garlic, salt and pepper. 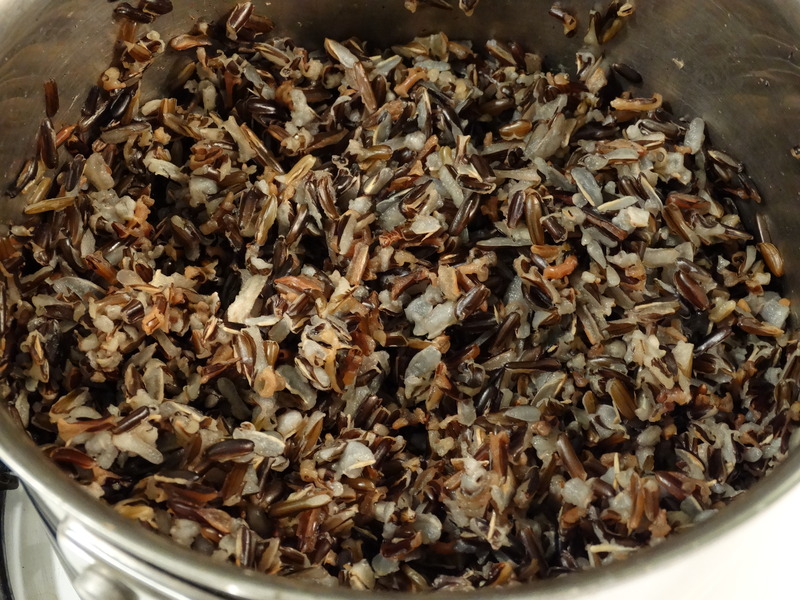 Add 3 cups of water to a medium sauce pan and bring it to a boil, then add 1 cup of uncooked wild rice. 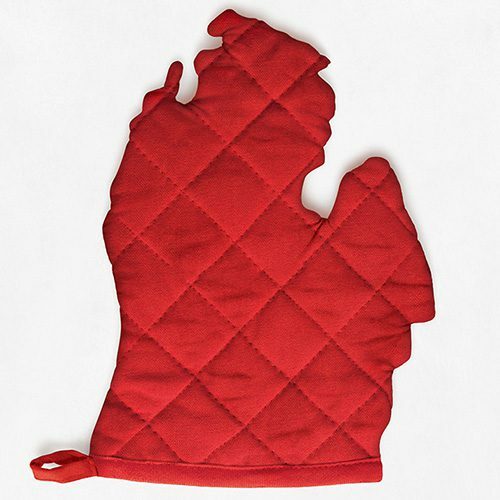 Reduce the heat to a low simmer, cover, and cook for 65 minutes (or until all of the water has been absorbed). While the rice is cooking, wash and chop your greens, then add them to a large bowl. Start with 1/2 a bunch of green or red kale. Remove the tough stems and chop into bite-sized pieces. Next chop 1/2 a bunch of Swiss chard. You don’t have to remove the stems for the chard — they are delicious and tender. Thinly slice 4 stems of green onions into small rounds. 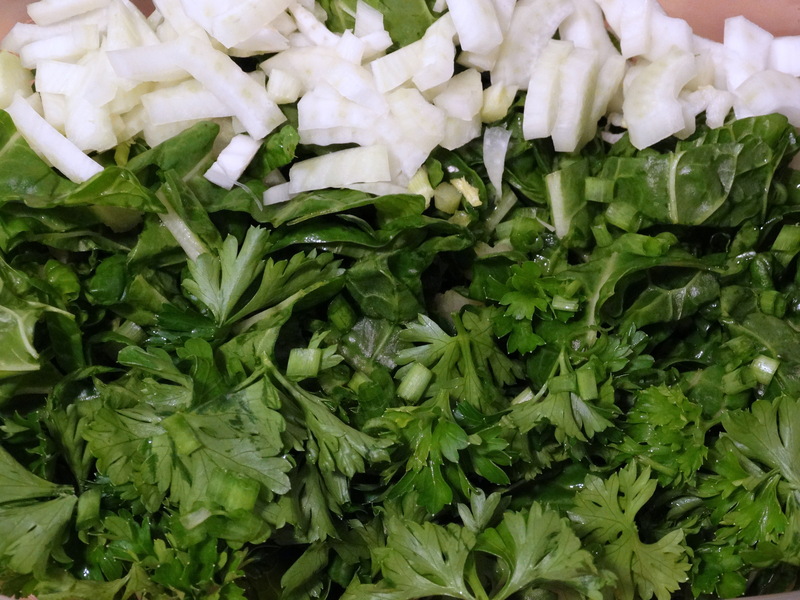 Chop 1/2 cup of fresh parsley leaves and 1/2 of a fennel bulb…into the bowl they go! Now you have the green base for your salad. Next, prepare the dressing. Whisk 1/2 cup olive oil, 1/2 cup freshly squeezed lemon juice (about 2 lemons), 3 minced garlic cloves, and salt and pepper to taste. Set aside. When the rice is done cooking, remove it from heat and allow it to cool completely. Once the rice is cool, stir in the dressing. 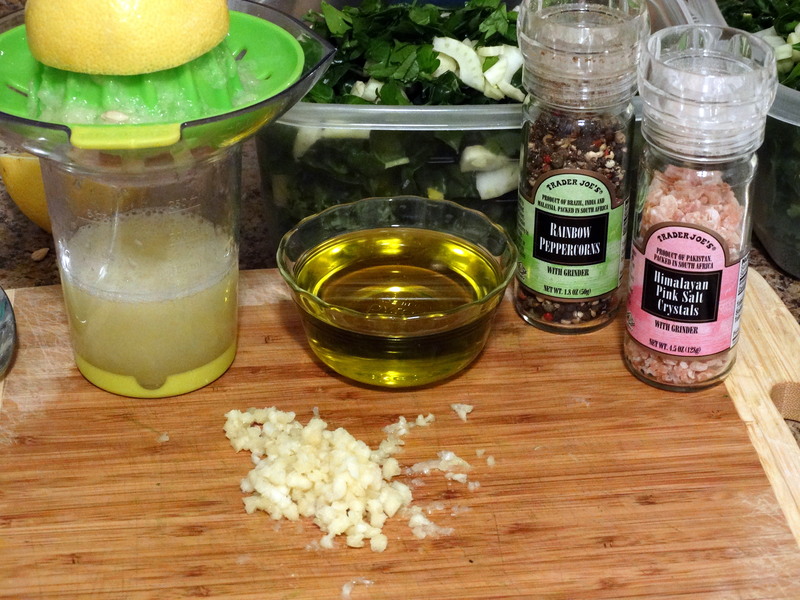 Pour the rice mixture over your greens, toss, and serve! 1) Add 3 cups of water to medium sauce pan and bring it to a boil, then add 1 cup of uncooked wild rice. Reduce the heat to a low simmer, cover, and cook for 65 minutes (or until all of the water has been absorbed). 2) While the rice is cooking, wash and chop your greens, then add them to a large bowl. Start with 1/2 a bunch of green or red kale. Remove the tough stems and chop into bite-sized pieces. Next chop 1/2 a bunch of Swiss chard. You don’t have to remove the stems for the chard — they are delicious and tender. Thinly slice 4 stems of green onions into small rounds. 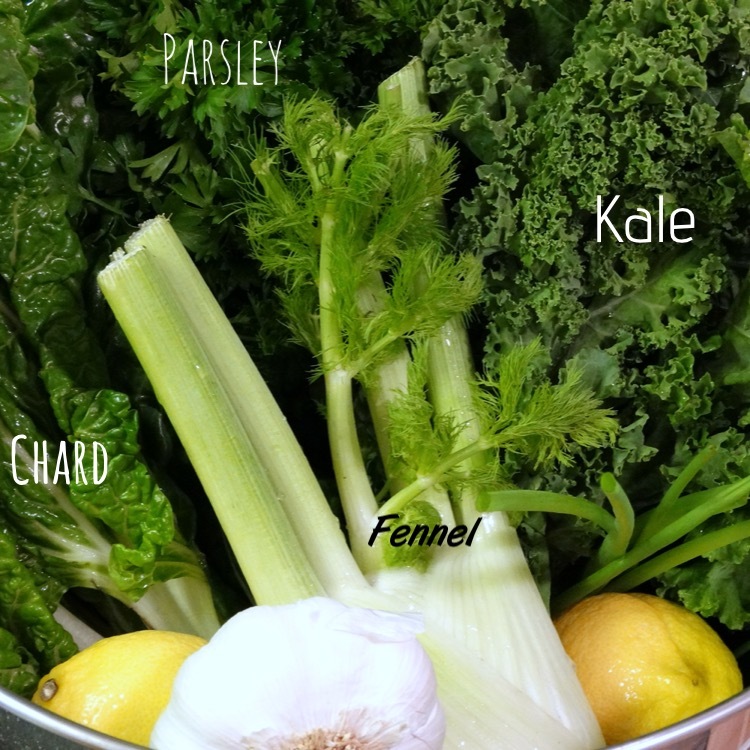 Chop 1/2 cup of fresh parsley leaves and 1/2 of a fennel bulb. 3) Prepare the dressing. Whisk 1/2 cup olive oil, 1/2 cup freshly squeezed lemon juice (about 2 lemons), 3 minced garlic cloves, and salt and pepper to taste. Set aside. 4) When the rice is done cooking, remove it from heat and allow it to cool completely. Once the rice is cool, stir in the dressing. 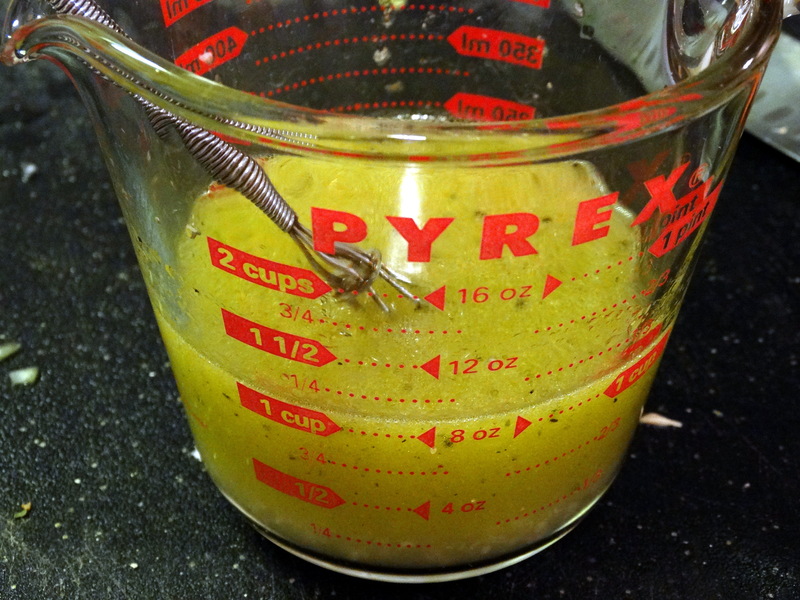 Pour the rice mixture over your greens, toss, and serve! Enjoy!